Jakarta, March 22: Garuda Indonesia, the country's flag carrier, announced on Friday that it was cancelling an order for 49 Boeing 737 Max 8 passenger jets after two planes of the same model crashed in a span of five months. "Our passengers have lost confidence to fly with the Max 8," Garuda spokesperson Ikhsan Rosan told CNN. The Indonesian carrier ordered 50 of the planes in 2014 for $4.9 billion. It has taken delivery of one of them but has now sent a letter to Boeing, saying it no longer wanted the remaining jets on order, Ikhsan said. Boeing representatives are planning to visit Jakarta on March 28 to discuss the cancellation request with the airline, the spokesperson added. In response to the development, a Boeing spokesperson said the company does not comment on "customer discussions". 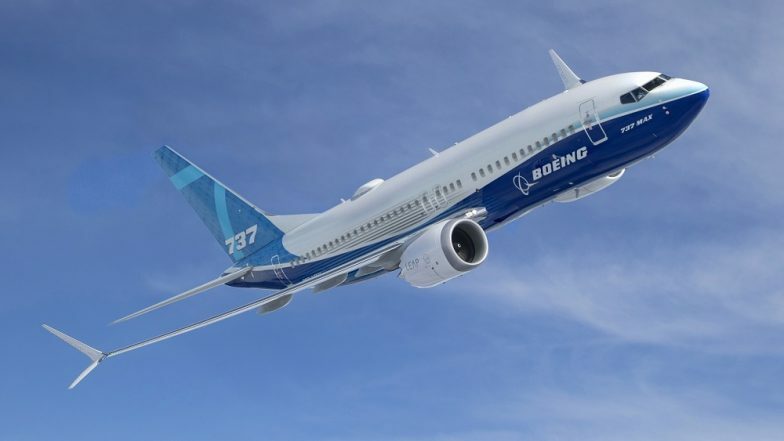 This is the latest blow to Boeing over the 737 Max, its bestselling passenger jet. Boeing 737 Max 8 Aircraft Banned or Grounded in 50 Countries, Including US, Company Supports Action. Aviation authorities around the world have grounded the 737 Max following the March 10 crash of an Ethiopian Airlines flight that killed 189 people onboard and a second crash that took place in October involving a Lion Air flight that plunged into the Java Sea, killing 157 persons. List of Countries Grounding Boeing 737 Max Grows, Now At Nine Including UK, Singapore and Australia. Many airlines have announced that they won't fly the planes until they know more about the circumstances surrounding the crash, CNN said. The grounding is expected to cost Boeing billions of dollars. Earlier this week, the US Justice Department prosecutors issued multiple subpoenas as part of an investigation into Boeing's certification from the US Federal Aviation Administration and the company's marketing of the 737 Max planes. The criminal investigation, which is in its early stages, began after the Lion Air crash. The FAA has said that data and physical evidence show similarities between the Ethiopian Airlines crash and the Lion Air disaster. The agency said on Wednesday that Boeing has developed a software patch and pilot training programme to address issues with the 737 Max identified in the Lion Air crash. The 737 Max jets are by far the most important product for the company. It has orders for nearly 5,000 of the aircraft, enough to keep production lines operating for years to come.